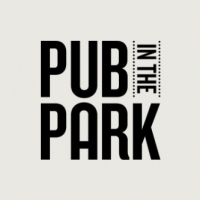 "The first Pub in the Park took place in Marlow in May 2017. Headed up by Tom Kerridge, and with a stellar line up of chefs, pubs and music, the festival sold out of all 18,000 tickets within 24 hours." The 2019 music line-up includes: Clean Bandit, Kaiser Chiefs, Jake Bugg, Tom Odell, Will Young, Basement Jaxx (DJ set), Razorlight, Fun Lovin' Criminals, Sophie Ellis-Bextor, DJ Craig Charles, Dodgy, Gabrielle, Natalie Williams, Rick Astley, Scouting for Girls, Soul II Soul, Stereo MCs, Steve Harley, Texas, The Christians, Toploader, KT Tunstall, All Saints, Cast, David Gray, Jake Shears, The Bluetones, The Cuban Brothers and The Rifles. Note: line-up varies according to day and region and there are afternoon as well as evening sessions for some dates.